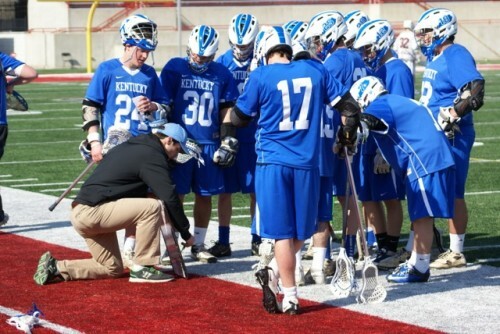 The University of Kentucky Men's Lacrosse team is a member of the MCLA. The team plays in Division I of the SELC Conference. UK welcomes and encourages all Kentucky students who wish to play lacrosse at a competitive and organized level to come out for the team. The team will have its first ever tryouts for the 2015 season. Tryout dates are October 19th & 26th. For more information on tryouts, please contact any of the club officers via email.